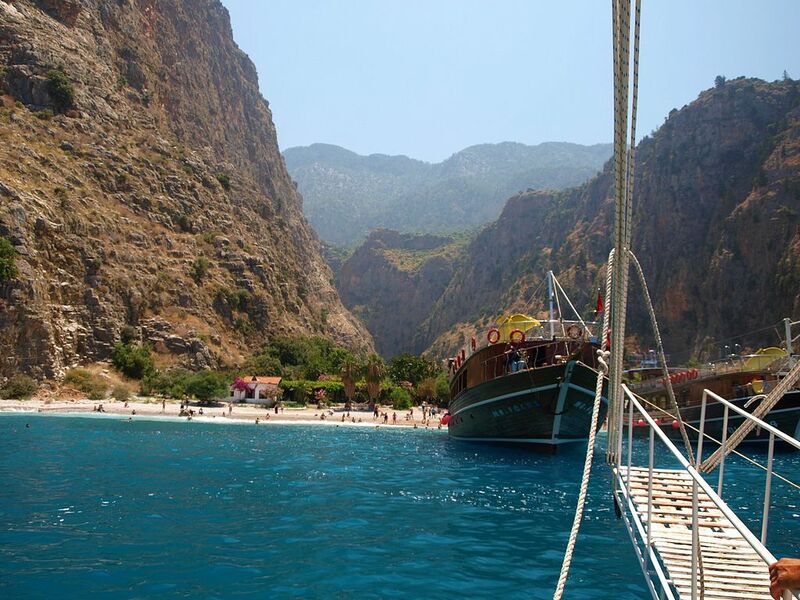 Only accessible by boat, Fethiye’s Kelebekler Vadisi (Butterfly Valley) is a truly remote beach where you’ll find nothing more than nature in its full beauty. Also home to many species of butterflies (hence the name), Culture Trip takes a look at what makes this stunning valley so special. 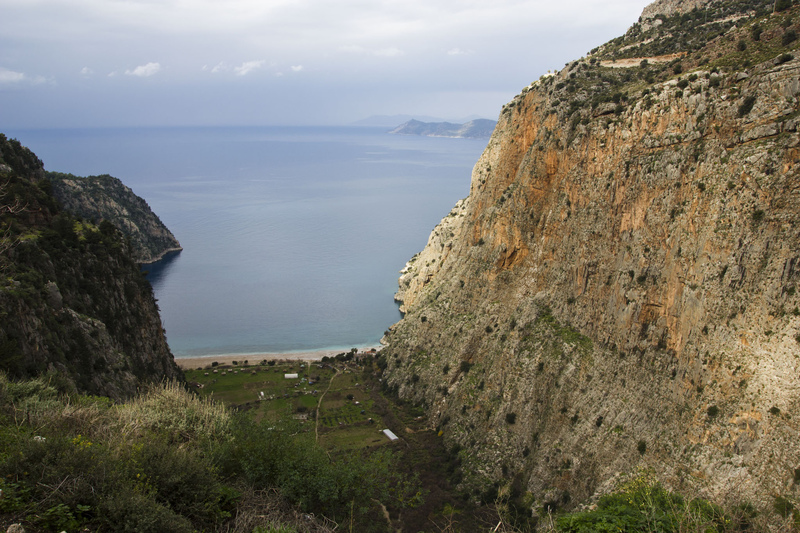 If you’ve taken on the Lycian Way, you probably already had the chance to gaze upon the magnificent Butterfly Valley. However, to get to its beach, you have to travel by boat, one of the main reasons why this particular section of nature is so remote and still untouched. The glorious mountainous valley, stretching around 86,000 square meters (21.3 acres), opens up to the brilliantly blue sea with a white sand beach in its midst. It is also here that more than 100 species of butterflies flutter about undisturbed (including the local orange, black, and white Jersey Tiger butterfly) in an area where a waterfall cascades down from a canyon and flows into a river right by the lavender flowers. As such, it’s no wonder that the Turkish government declared the valley a preservation area in 1987, in order to protect the butterflies and their natural habitat. 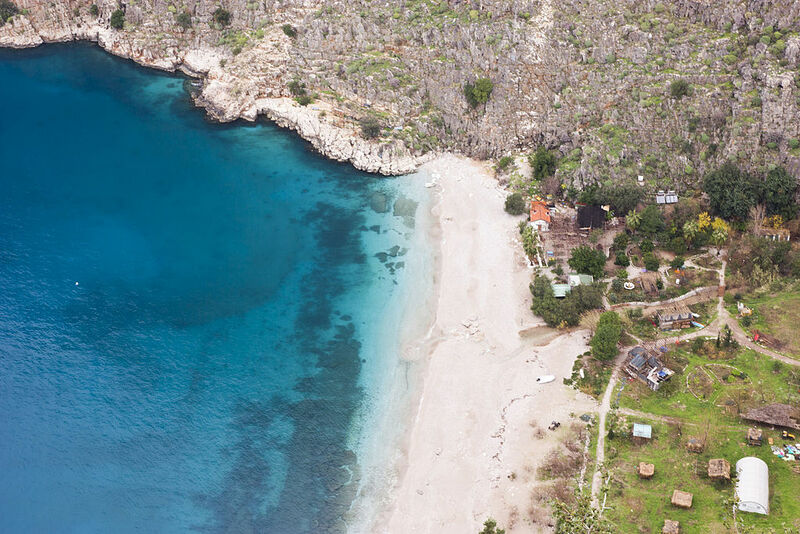 Unlike nearby Ölüdeniz, a beautiful lagoon that has become overcrowded with tourists, the Butterfly Valley has succeeded in remaining remote from the common path, burgeoning superbly in its isolation. The story goes that in 1981, Faralya’s residents sold the valley to the Anatolia Tourism Development Cooperative—they were planning on turning it into a tourist gem. However, three years later, the land was deemed a national preservation area with the automatic prohibition of construction. Nowadays, thankfully only tents and bungalows are allowed on the beach, as the focus on nature and its protection and growth are truly palpable. You’ll be happy to see that olive, orange, walnut, peach, pomegranate, lemon, palm, laurel, and oleander trees are all thriving wonderfully without any disturbance. Every year between April and November, backpackers arrive in the valley where the reward for living simply is being able to sleep under the clear sky where the stars shine brilliantly and waking up to the soft waves on the shore. The Butterfly Valley Management is responsible for all accommodation and transportation in the area between March 1st and November 1st, so before you decide to spend the night(s) there, it is essential that you notify them of your arrival. Offering tents, bungalows, and a dormitory, the Management also serves up an open buffet breakfast and dinner that makes use of local and ecological ingredients, all of which costs around 22 euros per day during high season (June–September).